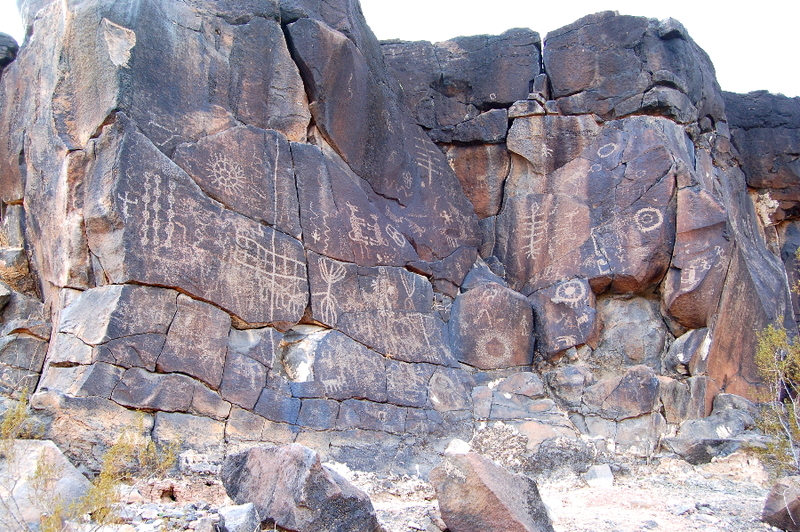 Evelyn Billo and Robert Mark have been leading a multi-year effort to document the extensive rock art along the Gila River between Gila Bend and Yuma. President’s Weekend they will lead a trip for AAHS to see some of sites. We will meet in Gila Bend at 10:00 am on Saturday, February 18th and proceed to the Howard Wells site which is about an hour beyond Gila Bend. On Sunday we will go to the Sears Point site. We plan to leave Sears Point around 3:00 on Sunday so should be home by 6:00 p.m. We will have two or three leaders so we can split into groups based on walking ability and desire. There is a great deal to see without extensive hiking and a great deal to see which involves hiking. We will plan to spend the night in Gila Bend although primitive camping maybe available at the Howard’s Well Site. Camping is no longer allowed at Sears Point. High clearance vehicles are required so we will carpool from Gila Bend. To register for the trip contact kcerino@gmail.com and indicate if you have a high clearance vehicle.